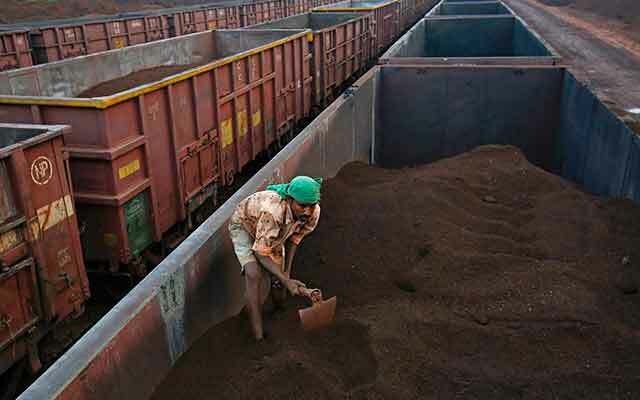 In an attempt to boost iron ore exports, the Indian Railways has decided to withdraw the dual freight policy for transportation of the mineral and pellets. As the new policy comes into effect starting Tuesday, freight rates for transportation of iron ore for domestic consumption and exports will be charged equally. The policy will be effective till 31 March 2017. For iron ore meant for exports, the Indian Railways used to charge Rs300 per tonne over and above the freight rate for domestic transportation of the mineral. This in turn was making iron ore exports unviable, especially given the international low prices. The Wall Street Journal on Tuesday reported that iron ore futures traded in China tumbled for the sixth consecutive day of trading on concerns of a rising global glut. “We have decided to discontinue with the dual freight policy for all kinds of traffic related to iron ore transportation with immediate effect,” said Mohammed Jamshed, member traffic, Railway Board. This comes in the backdrop of India’s steel sector being under pressure due to low domestic demand and cheap imports from China. Taking cognisance of the situation, the Union government is also putting in place a bailout package for ailing steel makers. The industry believes that the government’s move was much needed for the revival of the domestic pellet industry. “Iron ore prices have come down to one-third of what it was few years back. We are seeing a slight upside in iron ore prices and the decision of railways will help revive exports of iron ore and iron ore pellets,” said B.L. Agarwal, chairman of Hira Group of Industries, a pellet manufacturer in Chhattisgarh. India’s iron ore production for FY16 is estimated at 135 million tonnes (MT) compared with 129 MT in FY15. Iron ore mining is picking up in India after the Supreme Court allowed mining in Goa, one of the top producers of the country, in April 2014 albeit with an annual cap of 20 MT. “With falling prices of iron ore, there were no margins for manufacturers and the dual freight policy had brought the industry on the verge of closure,” added N.D. Rao, president of Indian Pellet Management Association of India, a lobby group. Rao added that the Indian Railways will also start earning as earlier rakes were running empty. Experts, however, believe that there will be marginal boost to exports. “The decision of the Indian Railways will bring some competitiveness in terms of exports of iron ore given per tonne differential rate for exports was not too high. Nevertheless, it will also benefit the railways given rakes were running empty,” said Vishwas Udgirkar, partner, Deloitte Touche Tohmatsu India LLP.